The United Way of Bruce Grey updated its Living Wage Rate 2017. It found that in 2017, a family of three consisting of a single parent, a 15-year-old and an eight-year-old would need the sole earner to work 40 hours a week making $21.01 an hour to get by. The rate was last updated in 2015, using 2014 data. Housing costs have significantly increased total household costs. The average rent across Ontario is now $1,115 and the United Way has found that many rental units in Bruce Grey are priced over the $1,000 threshold. 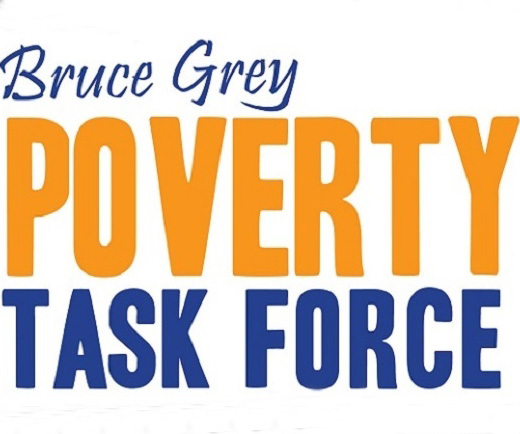 The rate has been updated by the United Way Bruce Grey at a time when the Bruce Grey Poverty Task Force and partners are engaged in discussions about Ontario’s minimum wage being raised to $15 an hour. In May 2017, Kathleen Wynne’s Liberal government announced its plans to raise the minimum wage from its current $11.40 to $14 on Jan. 1, 2018 and $15 on Jan. 1, 2019. The change has been welcome by some economists and the Bruce Grey Poverty Task Force who say it can help the economy by increasing people’s ability to get by and be better consumers in local economies. The Fair Workplaces, Better Jobs Act, 2017 (Bill 148) proposes important changes to address Ontario’s outdated labour laws and seeks to reduce precarious work. The proposed legislation, which also includes equal pay for part-time workers, increased vacation entitlements and expanded personal emergency leave, started committee hearings on July 17th that are traveling across the province. On July 17th, the City of Owen Sound Council approved a motion to request the government carry out an economic impact study of the increase in minimum wage within 2 years. On July 21st, the Owen Sound and District Chamber of Commerce held a town hall meeting on the issue, held in conjunction with the Keep Ontario Working Coalition. The Bruce Grey Poverty Task Force and its partners were at both discussions. David McLaren shared ON Labour Reform Facts on Need for a $15/hr minimum wage which references 7 decades of economic impact studies of raising the minimum wage. With the increase in a living wage, this educates people on why the United Way Bruce Grey and other organizations are in favour of the wage increase. The FairWorkplaces, Better Jobs Act, 2017 goes beyond cathcing up with the rising costs of living in Ontario and address practices of precarious work that are the new norm in the workplace.